Whether you're planning a luncheon or hosting a meeting at your office, let Little Goat Bread cater your event! Choose from many of our Little Goat Bread menu items, including sandwiches, chips, salads, bagels and cream cheese, pastries and cookies. Give us a call at 312-600-9601 to place an order or email us at catering@littlegoatchicago.com with any questions. Stephanie Izard, James Beard "Best Chef: Great Lakes," and Food & Wine "Best New Chef 2011," opened Little Goat with BOKA Restaurant Group in December 2012. 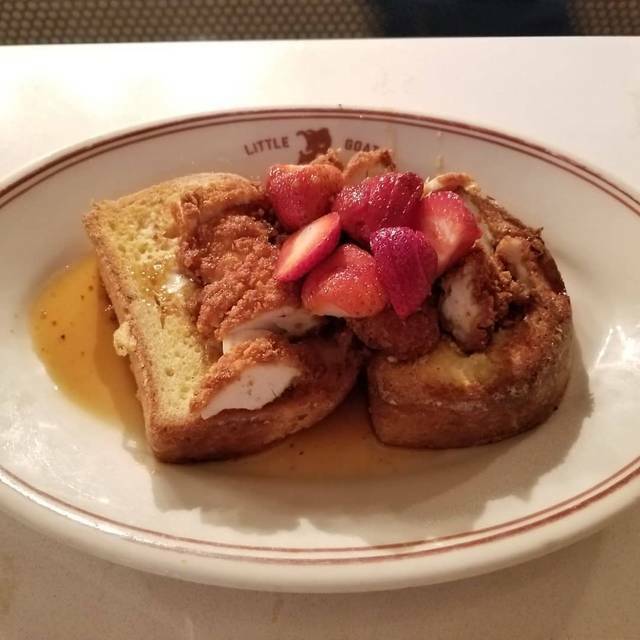 Following the success of Girl & the Goat, Little Goat Diner serves the Izard take on classic diner offerings. Adjacent, you'll find the Little Goat Coffee Bar - offering pastries and freshly brewed Dark Matter coffee. While you are there you can also purchase merchandise and Stephanie's This Little Goat line of sauces and spices. Located within Little Goat Bread is our bar - where craft beer, wine and cocktails are served. 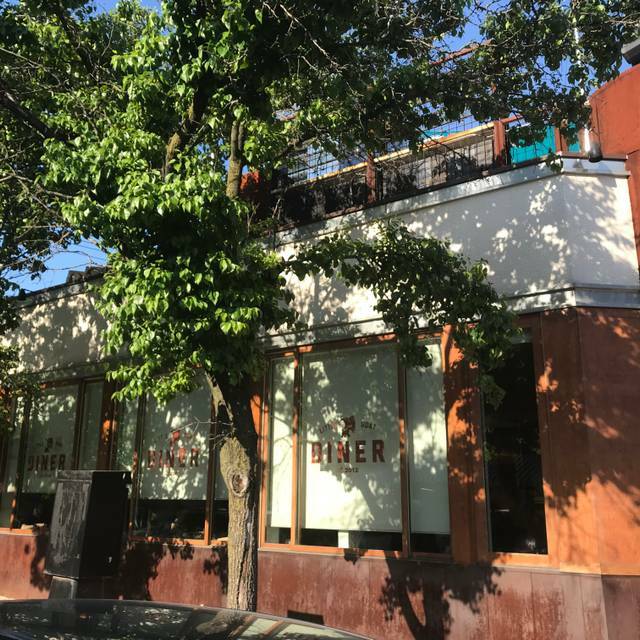 Reservations reflect only a portion of our available seating and hold a seat in the diner whether at a booth or our communal table. If you can't find a time slot that best suits your request, we invite you to walk in and join us! Osaka street food with pork belly, wanna know more?! For you and all your (taste) buds! gemelli noodles, tomato, scallions. Available after 5pm! hong kong cream cheese. pickle relish. Available after 5 pm! changes daily, ask your server! 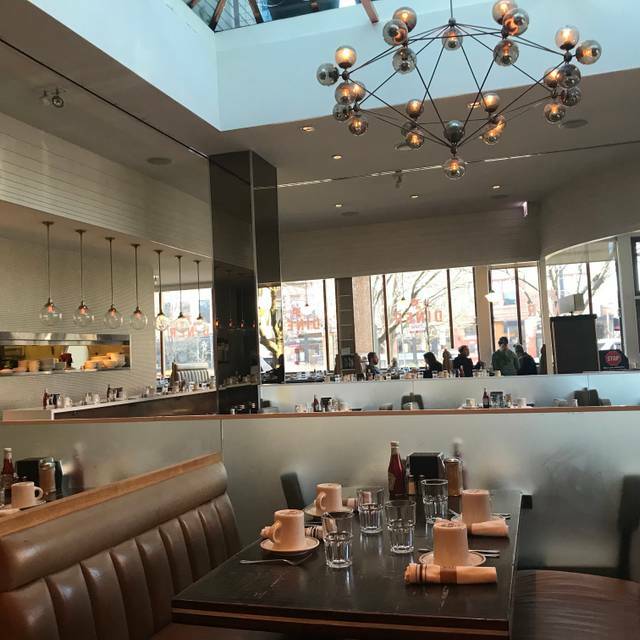 Loved our recent brunch at Little Goat on a visit with my family to Chicago. Creative and extremely tasty dishes (loved the pork belly and scallion pancake). Cool atmosphere and attentive service. Love that they have a separate vegan menu! The scallion pancake was really good as was the carrot hummus!! Glad we made a reservation because they had to turn people away without one. 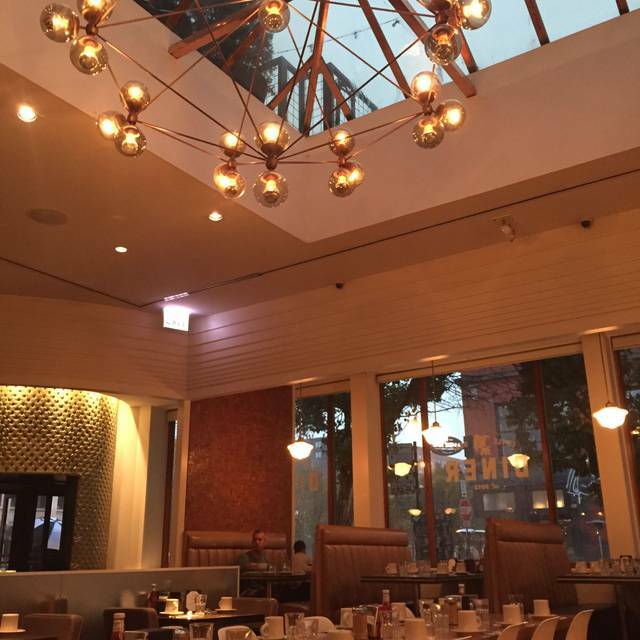 A lively family atmosphere in an updated old fashion Chicago diner. The diner counter stools bring back memories of blue plate specials & soda fountains. Our lunch was delicious and as plates passed by we observed the beautiful presentation of future meals. The location is close to public transportation which is nice for a summer outing. There is a paid parking lot, $8 on Sundays, only a block away which is convenient as street parking is very sparse in the area. Breakfast is served all day which makes trying everything on the menu possible. Definitely a reason to visit again. I think we came on an off day... The food was just OK (not as awesome as we had been told). For example- my husband got the pork belly and shrimp sandwich and there was soooo much avocado and almost none of the other ingredients. And our server was horrible! She had no ability to answer menu questions, did not refill my father's iced tea, never asked us how the food was, and got snippy when we asked for an extra knife. My mother stated that we felt like an inconvenience for her. We will go back, but probably not on a holiday and most definitely will not sit in that server's section. 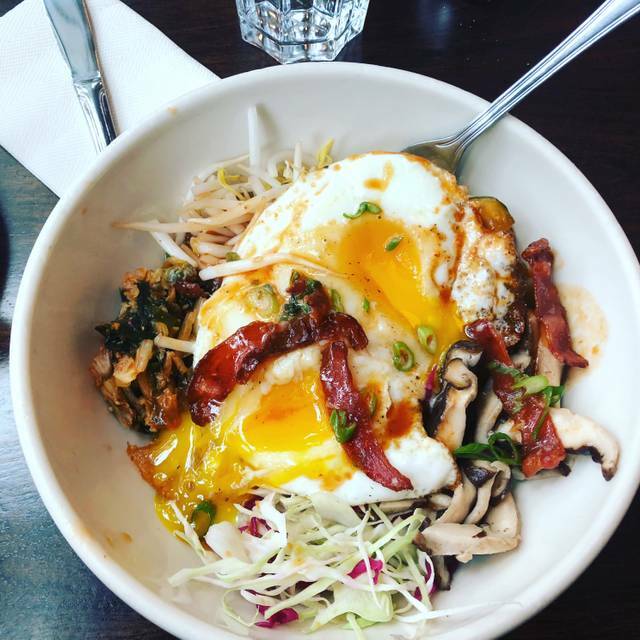 Unique dishes with a focus on Asian fusion. My braised beef had a piece of cartilage that was large enough (think marble) that it should never made it to the table. That was a huge turn off but thankfully it was near the end of my sandwich. Wife's pork belly pancake was good, unique combinations, but not mind blowing as other reviews would suggest. Had a great time at Little Goat! Always fun! Loved it and can't wait to go back for ... shrimp and grits, olive focaccia, blueberry pancakes, hash browns, broccoli cheddar soup, creole chicken sandwich, caesar salad and the lily pad cocktail. Everything was delicious and the service was great. We were disappointed with the service and food. Maybe we were there on a bad day. Met friends here for brunch/lunch and will definitely be back! I celebrated my birthday with a close and dear friend this past Friday. It was a wonderful experience. Absolutely love this place! We are from out of town and we come to this place every time we visit! Outside of getting ignored by the server for large pockets of time, great experience. Had a friend from out of town and she loved her french toast with fried chicken and BBQ maple sauce and the vibe. I had the same kale and chickpeas salad with grilled chicken I have had before and loved it, but it had only 4 tiny cubes of chicken on it- definitely less than a serving or what I had gotten before, so I was hungry again when I got home. Everything was delicious though! Service was extremely slow and it took a really long time for our food to arrive. Once it did, one of the orders was wrong. It took another 20 minutes for the correct order to arrive. At that point, that person had to eat by themselves. They still charged us for that item as well. The food is very overprices and over rated. An adequate burger is $15 + $6 for a side of fries. They even charge for condiments. There were a lot of interesting choices on the menu. Bold flavors and unique combinations. Loved the nachos and the crab dip! Los drowned was good, but a little fatty. The shrimp and pork belly sandwich was delicious! Fun night out! Great food, service and ambience. Definitely recommend the home fries with Pork belly! The server was not great and not very attentive but the food was great!!! The staff was very nice and the food was great!! I could go back for cheesy hash browns and fat bread a thousand times! Food and service top notch. Counter seating is super uncomfortable, even a simple pad on the seat would make a big difference. I haven't been in over a year because the last time I tried, I had made a reservation and we still had to wait 30 minutes to be seated. I have heard great things about the cinnamon roll, so I finally decided to give it another try. I made an error with my reservation and accidentally made it for 9pm instead of 9am. Totally my fault and wouldn't have expected a table if they were jam-packed. The host told me they were "completely booked" with reservations until the afternoon. At this point, it was 9:10. I went outside to find another opening on OpenTable and saw that they had openings at 9:30, 9:45, 10, and 10:15. I made a 9:30 reservation and was seated at 9:18, so it seems to me like they could have fit us in just fine. When checking in for our new reservation, the host was pretty snide. While waiting to be seated, we could hear the hosts sassily discussing the matter. The food was great, as is anything Stephanie Izard has a hand in. But I will not be returning here because of the repeated poor service. I went here for my birthday! The food was delicious and the server was very friendly. I would definitely recommend this to a friend! You can't beat this place for four what can best be described as gastro diner/deli food. Most ingredients are homemade including the enjoyed cream on what is perhaps the breezy chocolate malts anywhere! 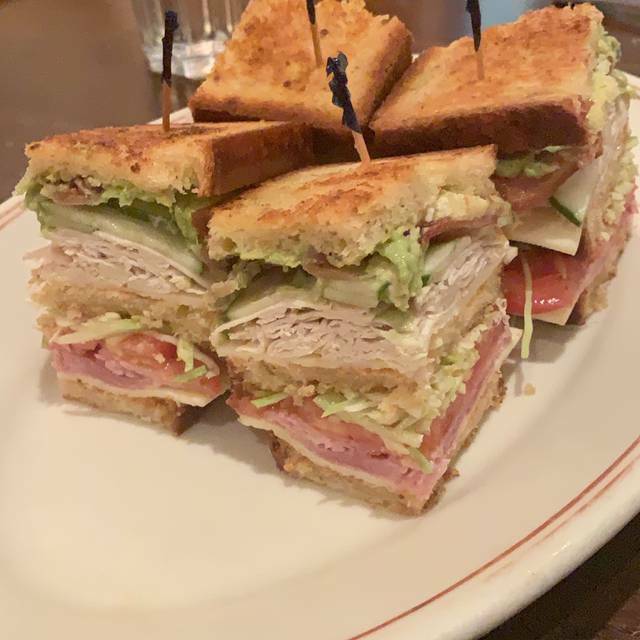 I've had the Reuben and the club, both of which were excellent. Our server entered wrong kids entree. Pancakes were served after all adults had meals. No compensation offered. She never checked back with us for refills. We had to ask other servers for help, then they would tell our server and we waited for her anyway. The food is great, but I would hesitate to go back. good food, slow service, diner ambiance. Noisy but a nice visit. Great brunch spot - but book your reservation early! The Bull's Eye French Toast was the perfect balance of sweet and savory. 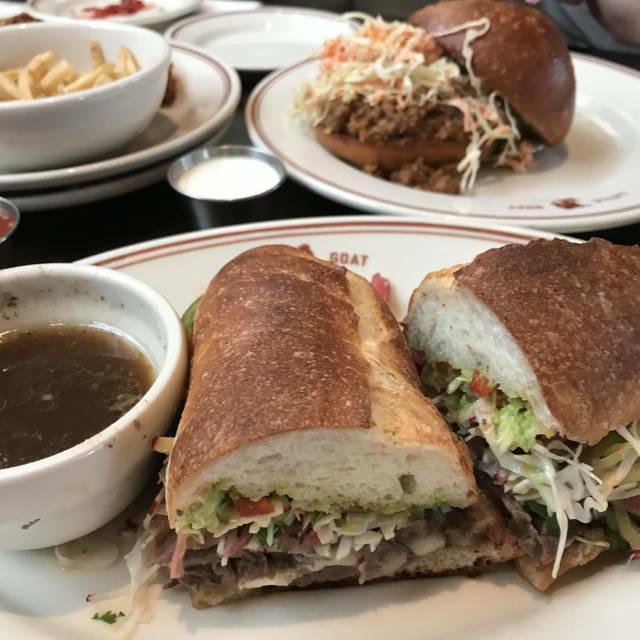 I was meeting a friend whom I hadn't seen in a while, and he recommended Little Goat Diner. I have to say that it was fantastic! 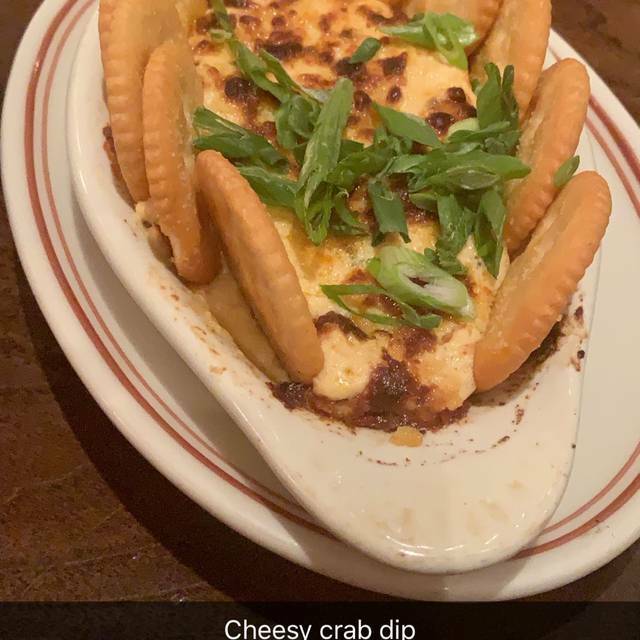 We started with the hot crab dip and it did not disappoint! After that I wanted something a little lighter, so I ordered the grilled cheese and a half order of fries. The grilled cheese was amazing, if a bit rich. It had ham and apple-tomato relish on it which really added to the experience. I'd definitely go there again. The food was very good. Lots of good flavours on the savoury and sweet side. The service staff was very nice and attentive. Natural sunlight was brilliant and the decor is very tastefully done. My daughter was visiting from Boston. Food was amazing and service was awesome! Will be back soon! Seven of us met for breakfast and all enjoyed it. Great biscuits. Very enjoyable yogurt and granola dish. But they were out of oatmeal by 9:30 the morning we were there. Others, very good and I will go there again. I can't say enough good things about this place. This place is special and sooo delicious. Typical diner style food with elevated flavors. This was the best place we ate at while in Chicago on vacation. We were 30 minutes late for our reservation due to cab/traffic problems and the wonderful host was kind about it and also got us in right away. Our service was great, drinks were interesting and excellent (and not sweet which is what we were looking for). Food was amazing, the Devil's food cake was out of this world. Thanks for a great experience! An amazing dinner with our little one and friends! The food was exceptional and excellent service! Awesome! I always bring my out of town visitors here. It’s a great location, food is fantastic, easy to get to, and pretty easy to get a reservation. The food was mediocre. 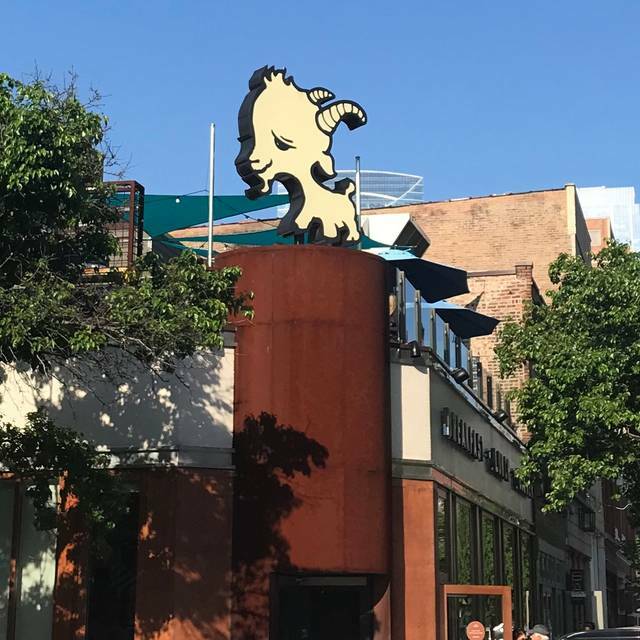 I have been to Little Goat a handful of times over the last few years and the quality of the food and service has really gone downhill. The servers were kind, but the service took FOREVER and they kept forgetting simple requests like ice. I will not be coming back to Little Goat. Food was amazing. We had a nice booth for a busy brunch. Our waitress was outstanding. The food was inventive and delicious.